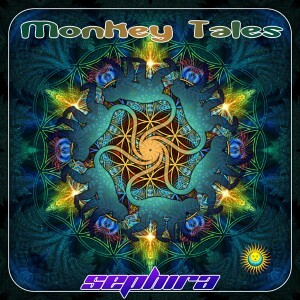 Sephira proudly presents his first release on BMSS Records, Monkey Tales. This is a collection of stories told from a timeless space, where magic meets curiosity to create an emotional pilgrimage. One that starts, like many other good tales, with “Once Upon A Time…” Moving through playful spaces and the night of the jungle you reach a sunrise, signalling your journey’s end and an opportunity to reflect on your experience and its personal meaning. In truth, you are the story teller—you always have been. MP3 Download | FLAC Download | WAV Download · Download count: 14,598. Last two tracks are awesome. Kept on rewinding. Could not stop. Music for the soul. I have waited for this day since the last release! looking forward to listening to it! Finally! been listening to imagination in motion since it was released!! Whoa nice. This is great, much love for the artist. This album is really great so far, reminds me of Atmos’ Headcleaner but more spacey :) Keep up the good work Sephira, you are one of my favorites! Don’t take this the wrong way Sephira, but after listening to this several times it does not compare to the first album and that’s not in a good way. I am not saying this is bad, in fact it is great music. This album seems more worldly to me. Imagination In Motion was pure emotion and power. That album plucked on my heartstrings and took me on a journey, this one does not do any of that. This is just kinda eh…Please go back to the old style I will love you forever! I am sure you will like the next one more. My first real forray into deep trance, and I was not disappointed… An incredible album, reminiscent of pink Floyd and late Tool. Very well done, and excellent for a trip.